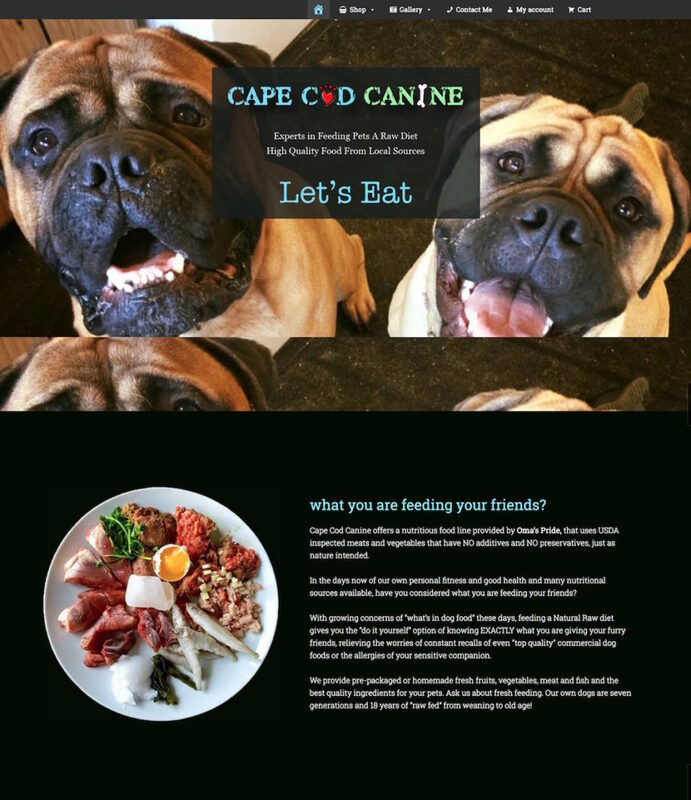 Mary Hannigan has the most beautiful Bullmastiffs and is a trusted resource when it comes to feeding pets a raw diet and overall pet care. Mary distributes raw food products from a variety of local sources on the Cape. In 2014, we did a website for Mary which was primarily like a yellow page listing on the web. As Mary’s business grew, it was time to enable customers to order online so we revamped the site. We added 165 variable products to the site with pictures and all. Since this is a cash on delivery business, we don’t take payments online but, if Cape Cod Canine’s model changes down the road, we could flip a switch and enable it. This was a labor intensive project but working with Mary and the pictures of her canine friends was a joy.